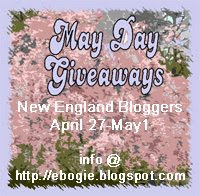 Welcome to the New England Bloggers May Day Giveaways! 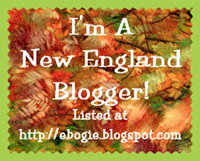 A group of New England Bloggers will be hosting a giveaway from April 27th until May 1st. Each of us will be offering a gift to one blogger. 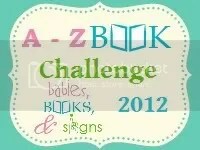 The winner will be announced on May 1st on each of the individual blogs. To enter my giveaway – please leave a comment on this post and include an e-mail address so I know how to contact you in case you win. A hand knit wash cloth that I myself knit and a bar of Lilac Goat Milk Soap made by a local farm called Angel Ridge Farm. 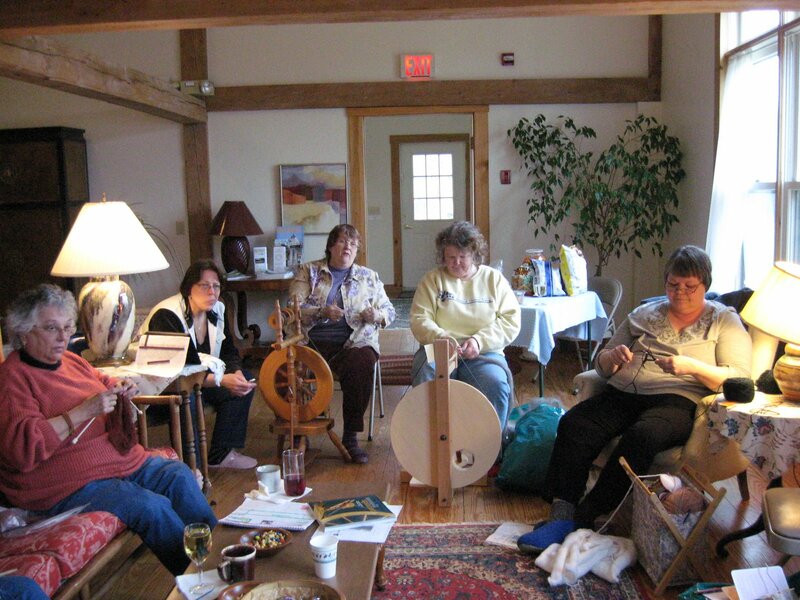 Let’s see if I can remember – l to r – Pat knitting, Sue, Sue, and Maureen with spinning wheels and another gal (whose name I can’t remember) knitting. 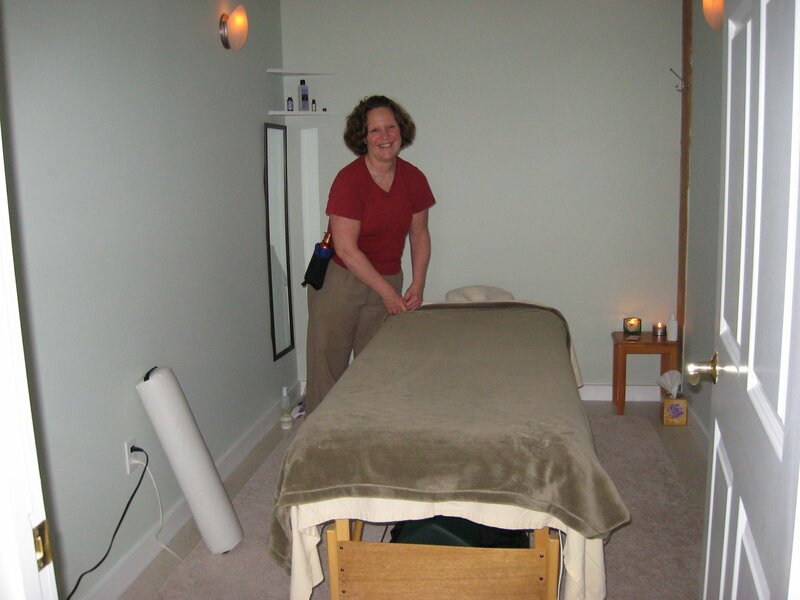 Our very own Massage Therapist – she was there just for all of us. Think most of us got a half hour massage – there might have been a couple who opted for the hour massage. Her rates were really good – and we even had a real massage room (It is part of the Inn). 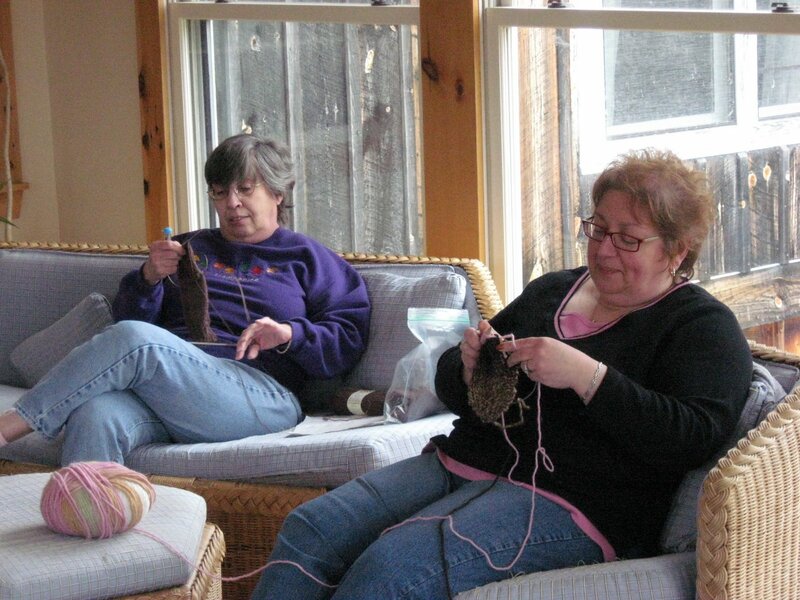 Terri and I knitting away in the sun room. 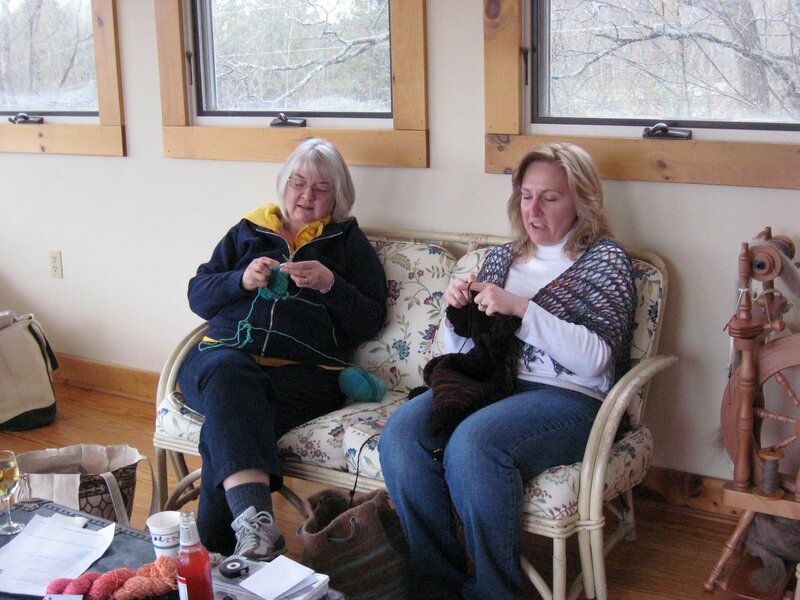 More knitting going on – and I can’t remember these gals names. 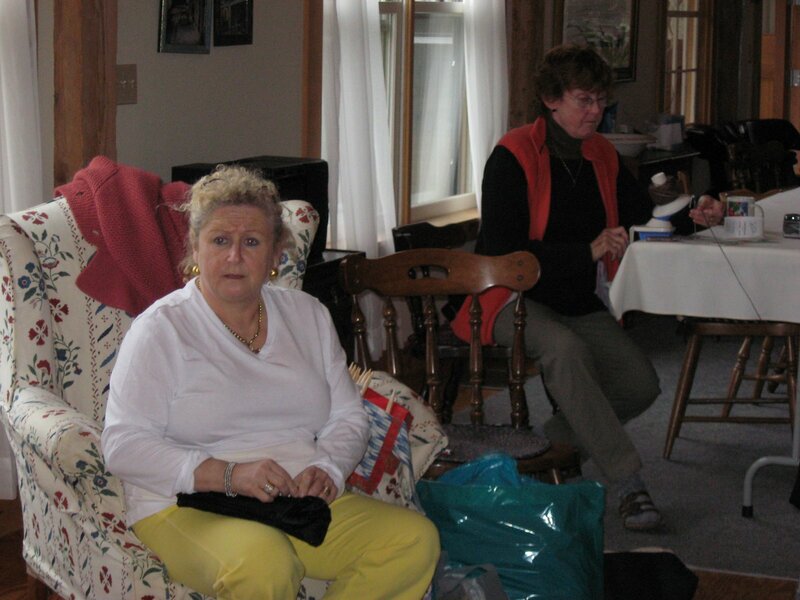 But, check out the felted bag that is on the floor between them. It is gorgeous! 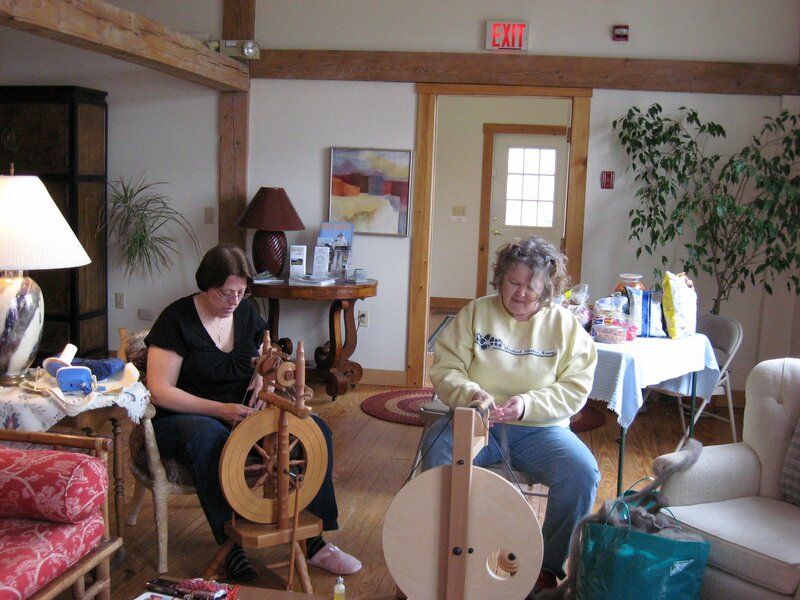 Sue and Maureen working away on their spinning wheels! 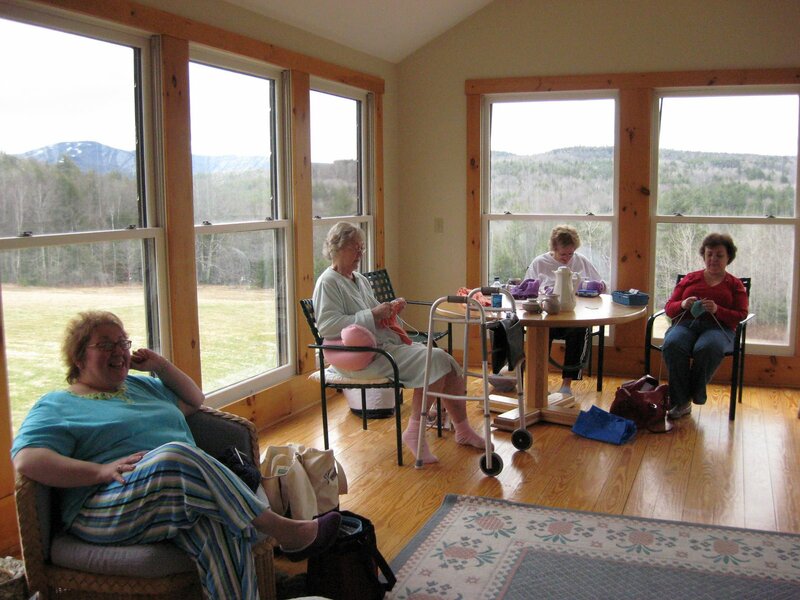 Talking and knitting on the great sun porch. L to R Terri, a mother and daughter team (whose names escape me) and Sylvia. 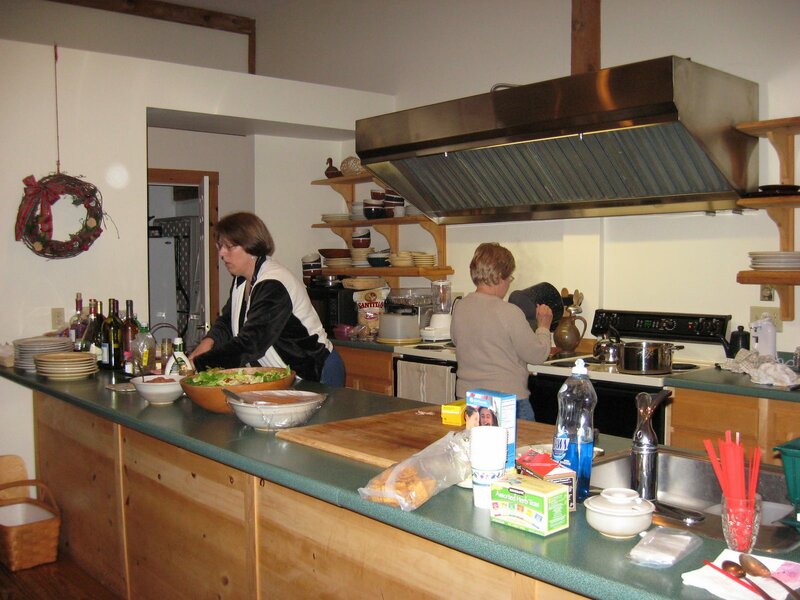 Sue and Jeannette getting dinner ready!!!! 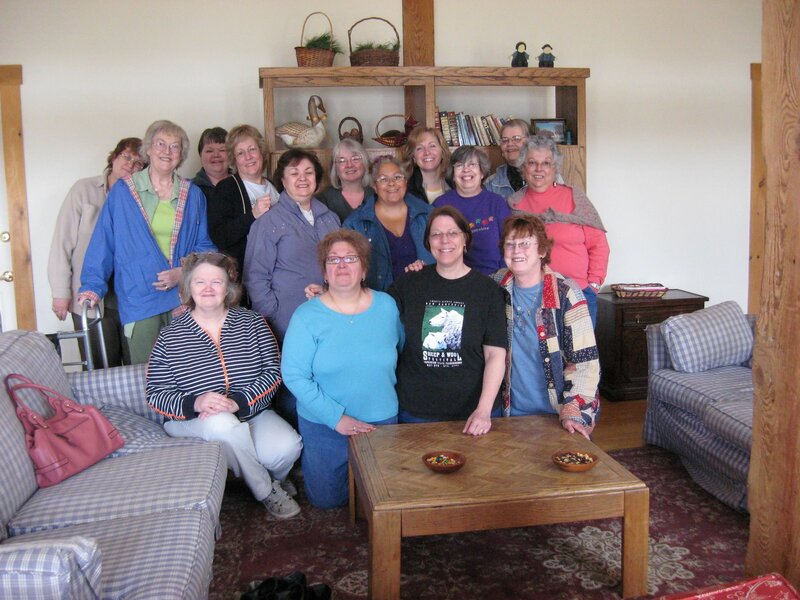 Our Sunday group photo…several of the women came from the other side of the state…and we had a wonderful time getting to know each other. Our room had five beds and all of us from our particular knitting shop stayed in that room. Each group was sort of set up that way! Before leaving we exchanged addresses…and made plans for next Spring! A cathedral windows quilt has been on my list for ages. So, one of my friends and fellow guild members, Ellen, decided to teach us this last Wednesday night. Earlier in the year she gave me the amounts needed for a twin size quilt…so off I went to the fabric store. Ended up buying a bleached muslin – not the beige colored – but white. 33 yards of white bleached muslin! The above is the beginning of my first 4-square block. First of all, I created the little pillows (as they are called) – then sewed two together. Since we were only there for two-and-a-half hours she showed us how to to insert our first little window. I will now sew the four blocks together and add more windows. All of my windows will be batiks! 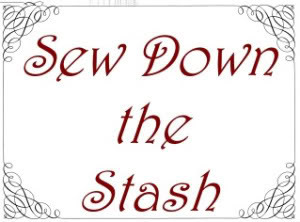 It is all hand sewing – and I LOVE it! It is so relaxing! Am looking forward to having this as my carry around project until it is finished. No rush…just an enjoyable project. 1. Apparently there’s some sort of conspiracy against Spring arriving here in Claremont. Still no blooms around. 2. Tomorrow is supposed to be a sunny day. I think it is going to happen because the sun just came out…and it’s supposed to stay that way all the way through Sunday. 3. 2009 has been both good and hard so far. 4. People who lie to me soon find that was it. I don’t put up with that at all. 5. For too long I’ve been resting way too much and not getting out and walking. And, I don’t understand why because walking makes me feel really good. 6. I am not obsessed with reading; I am not! 7. And as for the weekend, tonight I’m looking forward to attending the opening night of my favorite local ice cream shop for dinner and ice cream (of course), tomorrow my plans include hanging around the house and relaxing and Sunday, I want to attend a special workshop after church! My friend, Julie, has the sweetest grandbaby named Clover. Samantha is Clover’s mom and she is a sweetheart. Anyway, to make a long story short – I’ve been friends with Julie since before Clover was born and now keep up with her through Julie’s blog. 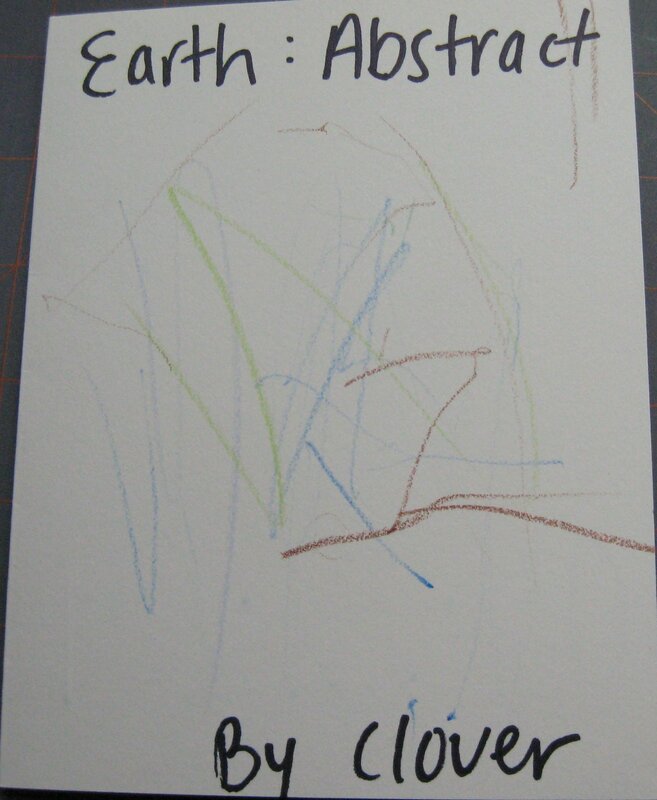 Yesterday’s mail brought this adorable card from Clover! Melted my heart! I was so – words are failing me – thrilled to get this little work of art and to think that she remembered me… and that doesn’t say what I am feeling exactly). It was most special!!! She made my day! Thank you, Clover! 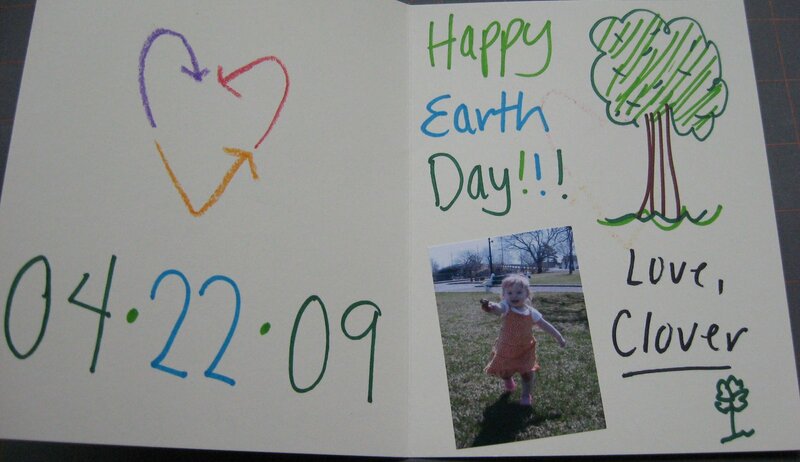 I hope your Earth Day was great! 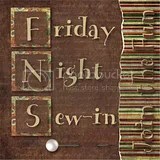 Then my buddy, Amanda over at Busy Little Quilter sent me this wonderful package. I won a contest over at her blog! 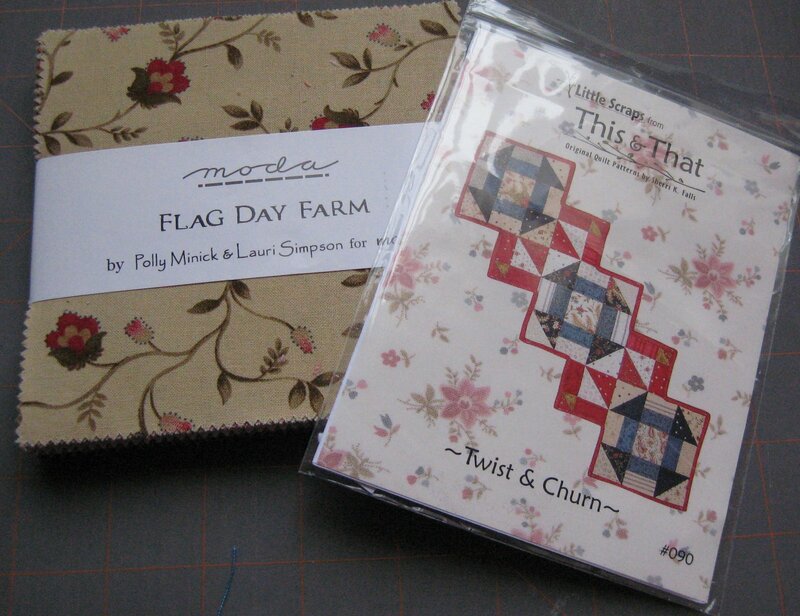 Look at the goodies: Moda’s Flag Day Farm Charm Pack and an adorable pattern for a table runner. 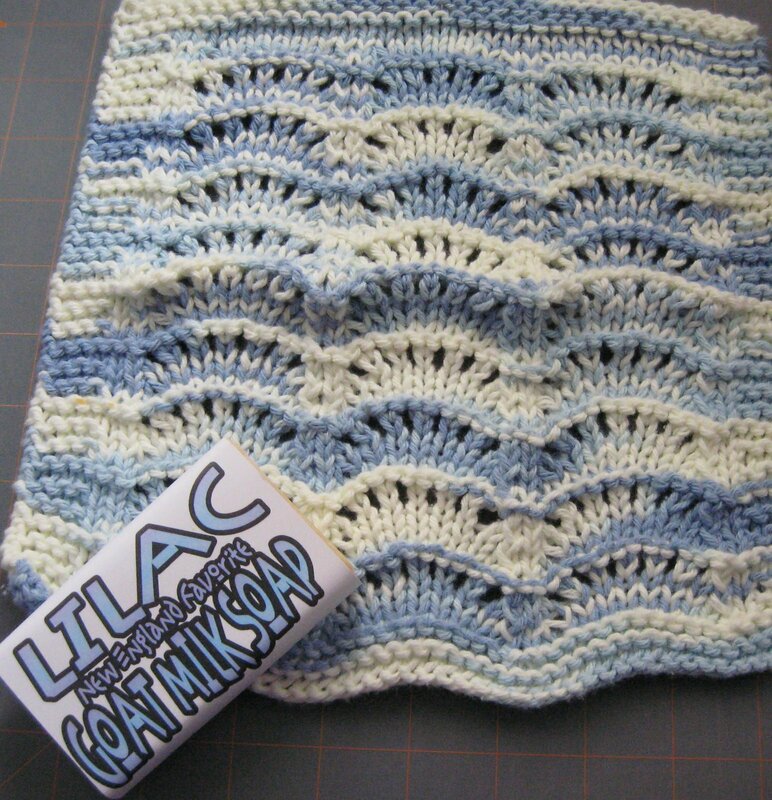 I really like this pattern – mainly because it is so different. Thank you, Amanda!!! Knowing that I hang out at reading blogs should not come as a surprise to anyone! Well, Lee McKenzie, who writes for Harlequin American Romance was having a little tea party a while back. I entered and lo and behold, I won one of her prizes…A great mug – it’s really contemporary looking! 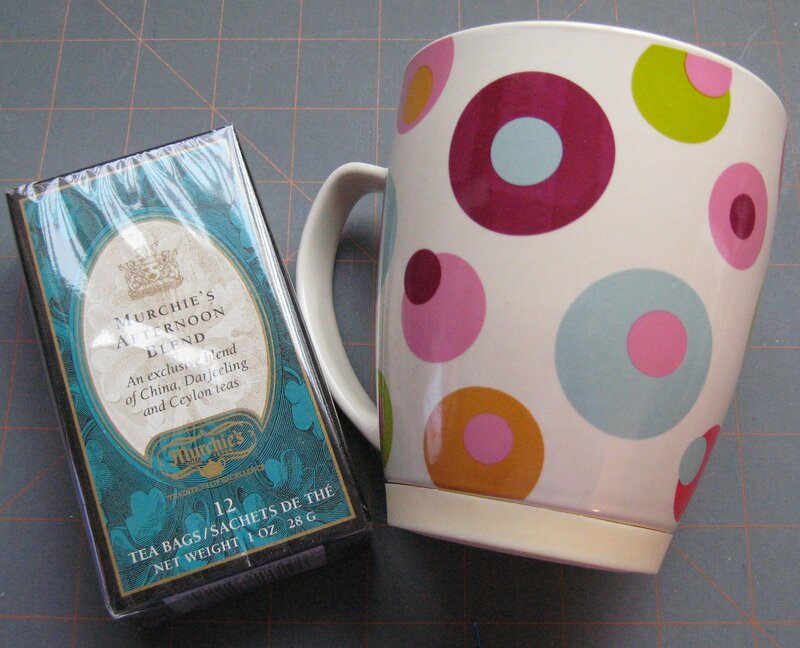 And, some of my most favorite tea…from Murchies. This one is Murchie’s Afternoon Blend. I learned about them when I was in Vancouver, British Columbia while having Afternoon Tea at the Empress. (Do check out the links – they are awesome!) Thank you, Lee!!! For sure it was a wonderful week with great mail. It’s always nice to get mail – that aren’t bills or advertisements! At my house Earth Day is everyday…mainly because recycling, avoiding using extra water, using natural light, and doing other things that help our planet are habits now. 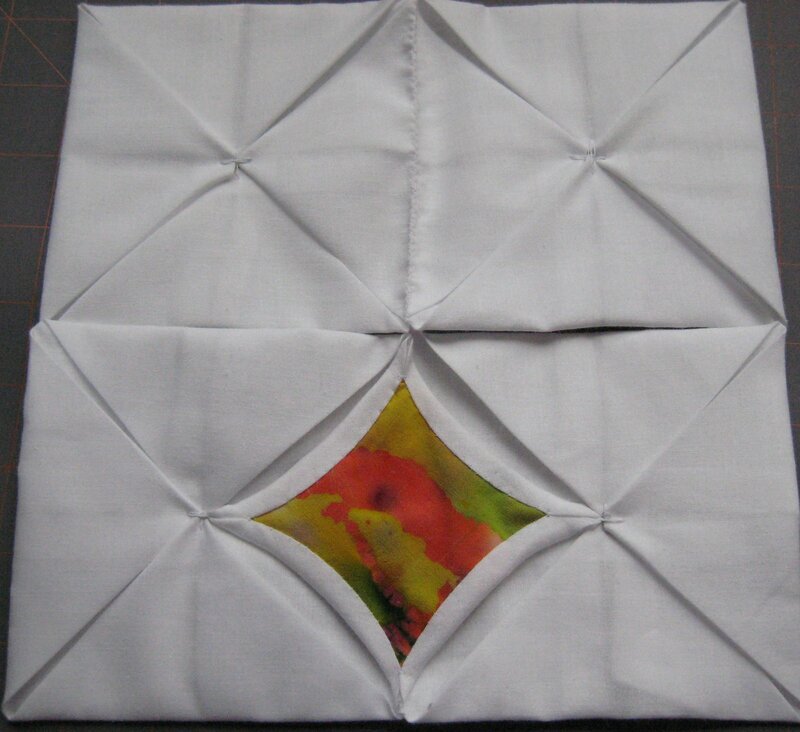 But, I am doing something special…am taking a class tonight on making a cathedral windows quilt. I will not be BUYING anything for this quilt – but, using up fabrics that I already own. This is my way of reducing the fabric in my home and turning that fabric into something beautiful! Hope everyone has a great Earth Day!!! !